Using gemstones gives people a peace of mind because there is a belief that they give off unique energies to help them in their daily lives. One such gemstone, the Rose Quartz, is one gemstone associated with giving loving energy to its user so that the user will be able to accept love and forgiveness from others as well as attract love wherever they are. The Rose Quartz also fosters emotional regulation and positive emotional balance that raises self-esteem and self-confidence within the user to help the user love themselves and improve themselves. It can also help you overcome your negative emotions and heal your body from diseases that result from negative emotions and other stuff. 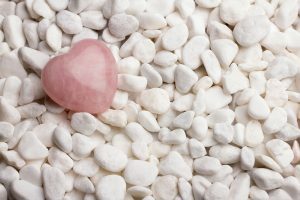 The rose quartz will open your heart to the compassion of others, and you will open your heart to yourself, as well. Doing this will raise your self-esteem, be more empathetic to other people, and attract more friends to you with the help of the rose quartz’s energy. Is able to regulate your emotions and ease your guilt so that you can go about your day happily and sleep well at night. It’s good to have if you have trouble balancing your emotions lately, especially when things out of your control are happening and you don’t know how to go about it. There’s always a time and a place for reconciliation and forgiveness. When you forgive someone, you let go all of the anger that holds you down and makes you miserable and sick. At the very least, the rose quartz is able to give off soothing energy to foster reconciliation and forgiveness of others, even towards your family and friends, the people that you need and want to forgive the most in the world because you love them. And if they or anyone else does something incredibly damaging to you that it’s hard to forgive, then you still need to forgive for your own health, and the rose quartz will help you do that. The rose quartz is used to attract love and adds more loving energy into relationships to bring calm and peace which will result in recommitment and trust in new and existing relationships. Just put the rose quartz by your nightstand and your relationships will be drawn to you. This will allow you to be calm and peaceful during times of stress and crisis and be able to recognize love wherever and whenever you are at times. It’s good if you want to find a good friend or a good romantic partner, basically just find someone you can trust and love with all of your heart and soul. The Rose Quartz is used to heal ailments of the thymus, heart, and lungs with its energy. It’s also used as a support stone for other types of cancer. Granted, it should not be used as a substitute as a treatment for cancer or substitute for any other treatment that can save your life. However, the rose quartz stone can give you peace of mind and can help you along with your treatments since the peace of mind can be a good thing for your immune system to fight off harmful diseases and ailments within your body. If there are other feelings that you want to say to others like you are happy to have them with you for example, then the rose quartz will give you the energy to express those unexpressed feelings to other people. If you are suppressing negative emotions, like anger or sadness, then the rose quartz can help you release your negative emotions. Pent-up emotions have to be released one way or another. The rose quartz can help you release your negative pent up emotions properly by channeling your energy, and you do the rest by following the energy of the rose quartz. 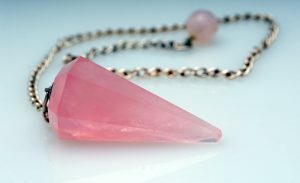 If there is any disease that you have that resulted from your negative emotions, then the rose quartz will help heal the diseases by replacing the negative energy you have in your body, replace the negative energy with rose quartz’s loving energy, and the loving energy will heal your body just by being lighter and full of life and full of love. Also, you will have a more peaceful mind, your immune system will fight off the disease better if your mind is less stressed out and more peaceful and letting go of grudges and unexpressed sadness will release a lot of the tension that your body has been holding for a long time. Using positive self-affirmations also boosts your self-esteem and self-confidence. The rose quartz will enhance the use of positive self-affirmations by giving you the loving energy to do so. 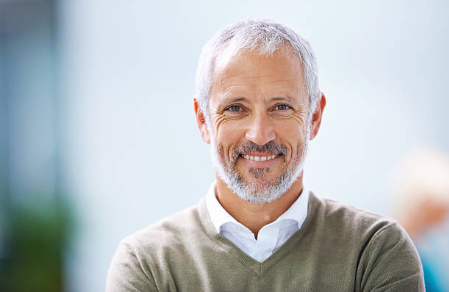 These self-affirmations will raise your self-esteem and your self-confidence, control your negative feelings of anger, impatience, and frustration, improve your productivity, and help you overcome bad habits. Overall, the Rose Quartz stone is able to give a peace of mind that is able to give you self-love as well as give you the energy to love others. It will also attract others to love you as well. And it will foster reconciliation and forgiveness within you as it will fill you with the energy to let go of grudges for the sake of love of your loved ones and for yourself. It will also help you heal your ailments and diseases, either from your repressed emotions or from something else, by giving you the loving energy to influence your mind to think more positively than negatively about your life. Having the Rose Quartz in your life will drastically improve your life.